Favela Brass is expanding, and we have a new second premises which will allow us to teach even more children in difficult circumstances to learn to play instruments. In order to make the most of this opportunity we need to increase our number of weekly teaching hours, and cover maintenance and overhead costs. 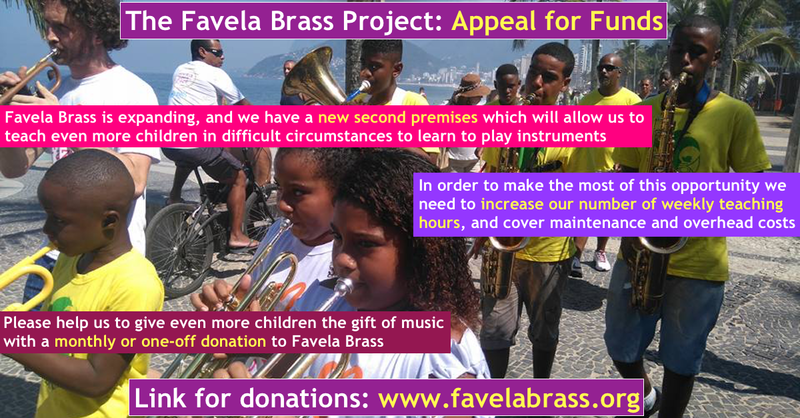 with a monthly or one-off donation to Favela Brass.